BOGOR, Indonesia (14 December, 2012)_Chinese companies can now buy carbonoffsets from local bamboo plantations, thanks to a new accounting method thatcan determine how much carbon is stored in these unique, rapidly-expandingecosystems. The methodology – developed by the International Network for Bamboo andRattan (INBAR) and its Chinese partnersThe China Green Carbon Foundationand theZhejiang Agriculture and Forestry Universitywasapproved last month by the state forestry administration. Although it makes upjust 2.8% of China’s total forest area, bamboo isone of the country’s fastest expanding and most valuable forest land uses. 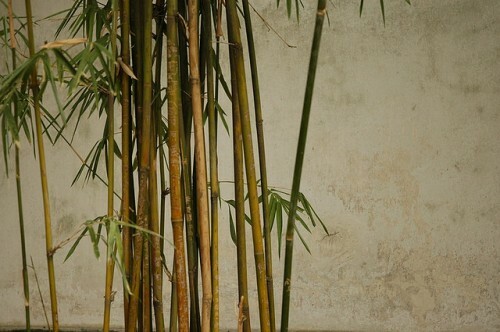 Inthe past 20 years, the bamboo sector in the country has boomed from subsistencefarming to a US$14 billion industry. New CIFORresearchhas shown that bamboo makes an importantcontribution to rural development in poor areas of China, both for subsistenceand as cash income. “China is a bamboo ‘kingdom’”, said Li Nuyun, Secretary General of theChina Green Carbon Foundation. As plants grow, they absorb carbon dioxide from the atmosphere and storethe carbon in their cells – preventing it from contributing to climate change. Different plants store carbon at different rates. “Bamboo is a grass, not a tree, so it has very different growthcharacteristics – it grows a lot faster, up to a metre per day, and it ishighly renewable – so that’s why we needed specific mechanisms to capture thebenefits and advantages of bamboo,” Kuehl said.